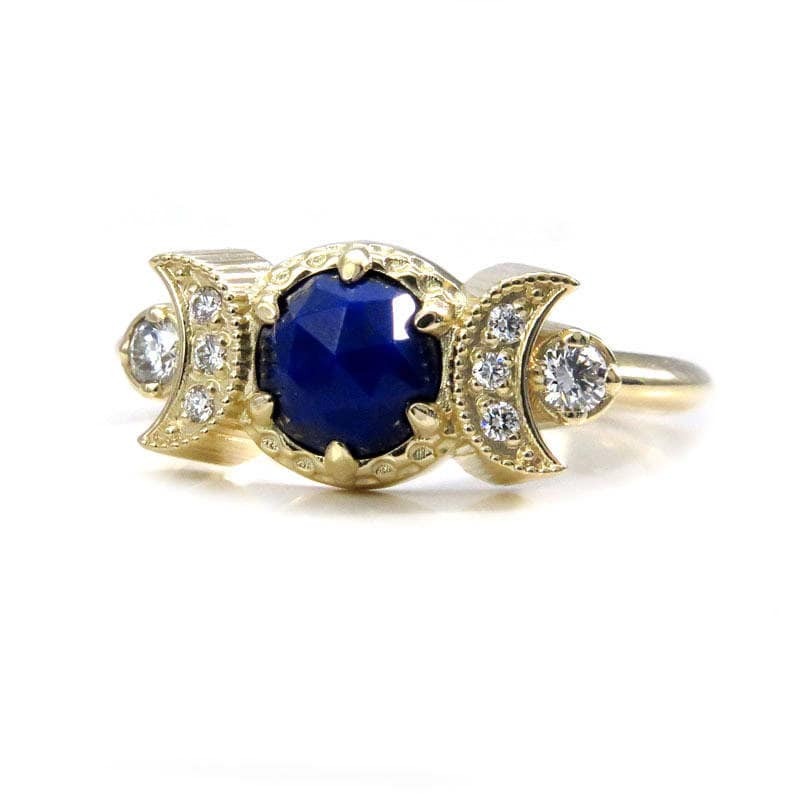 I am very fond of the moon, you have probably noticed that I use the moon as my muse frequently in my designs. 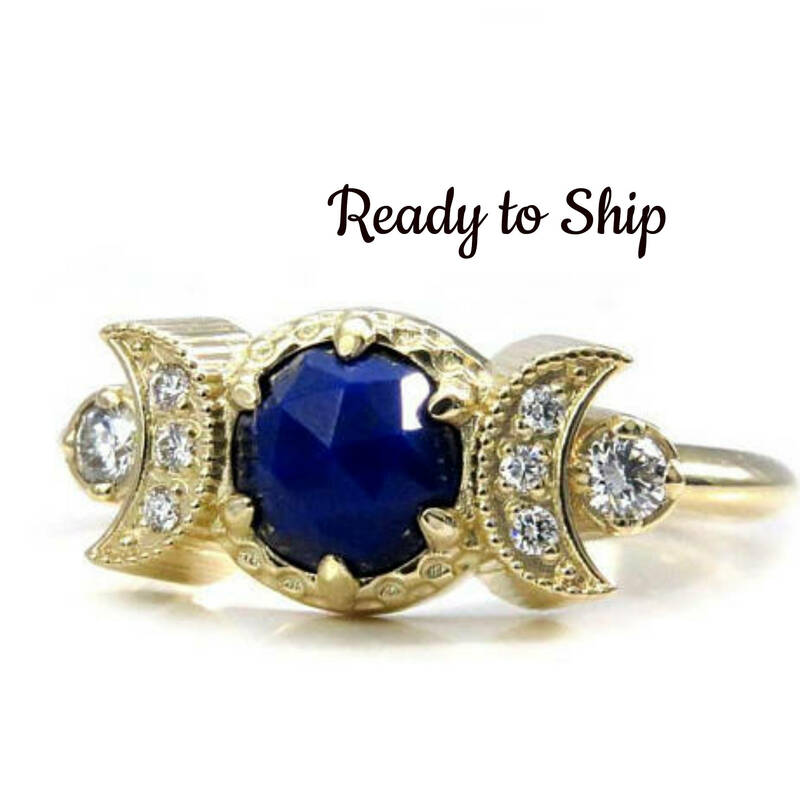 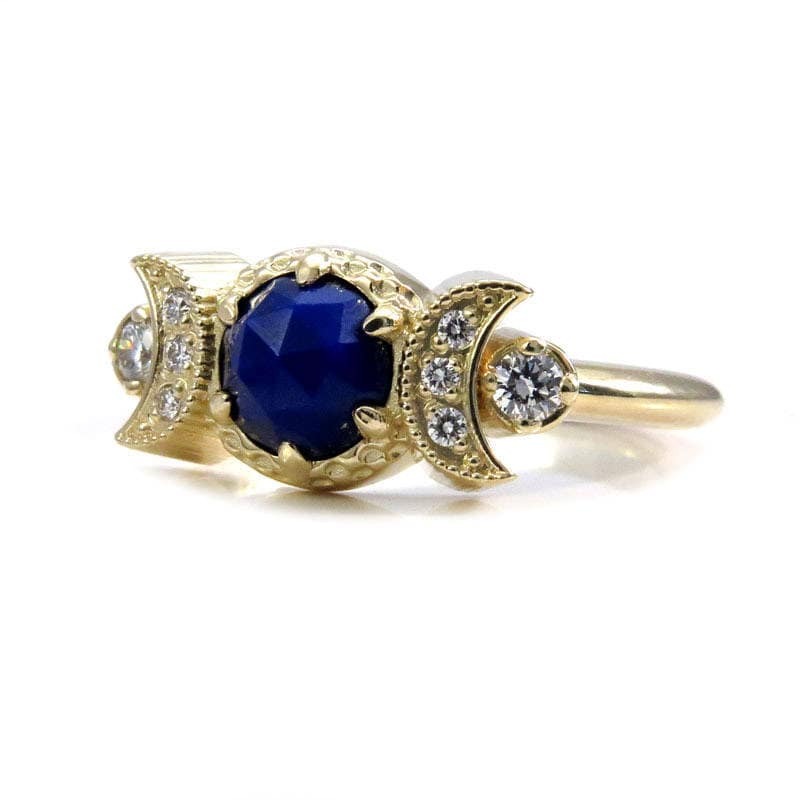 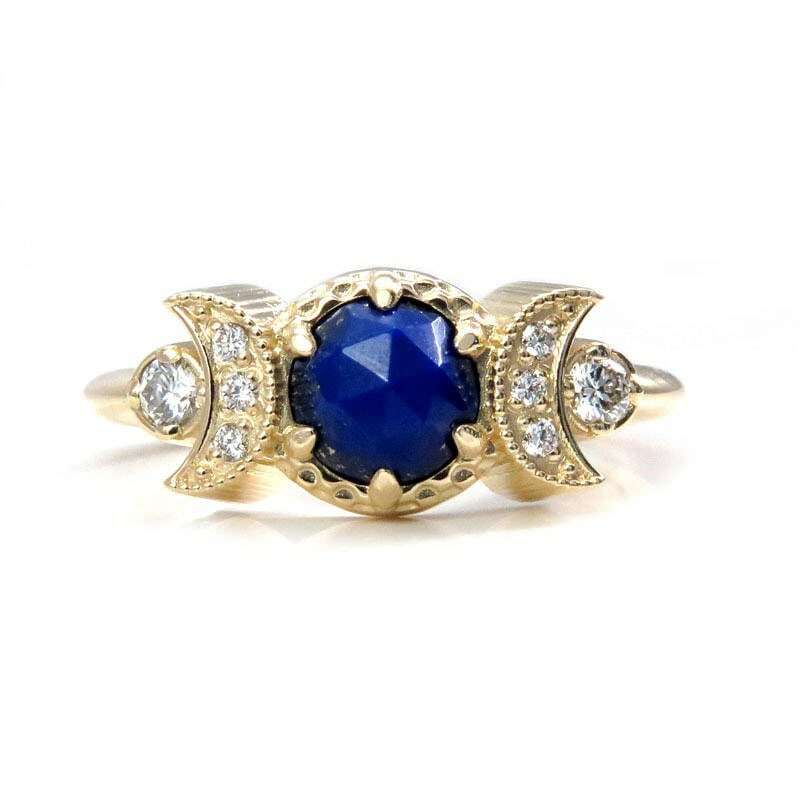 This ring has a 6mm Rose cut Lapis Lazuli set in the center of 2 pave diamond crescent moons. 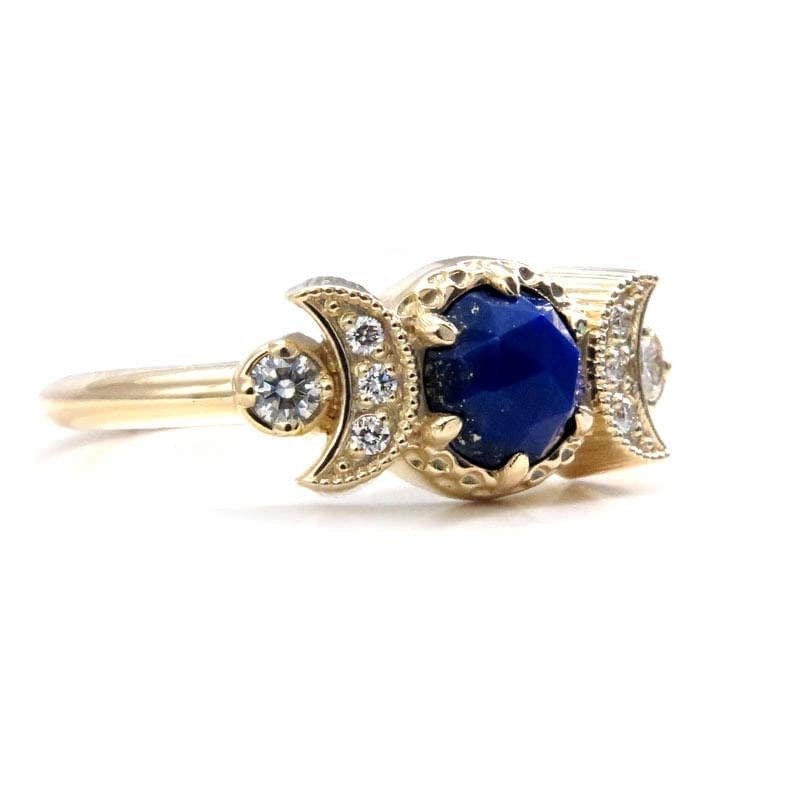 There is an additional diamond in the cup of each moon on the band. 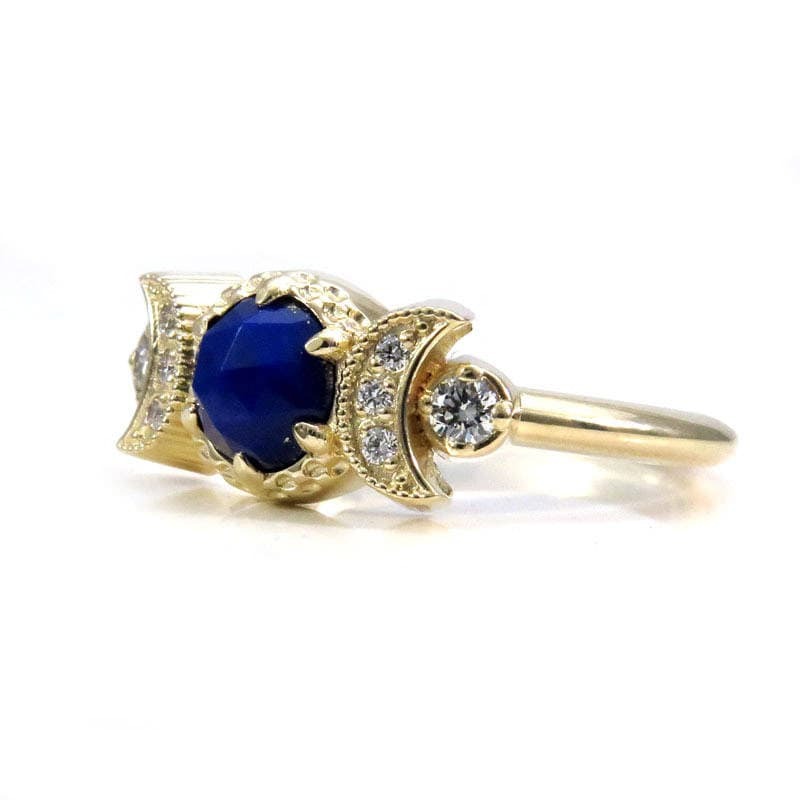 The Lapis weighs approximately 1 carat and the total diamond weight is approximately .12 carats. 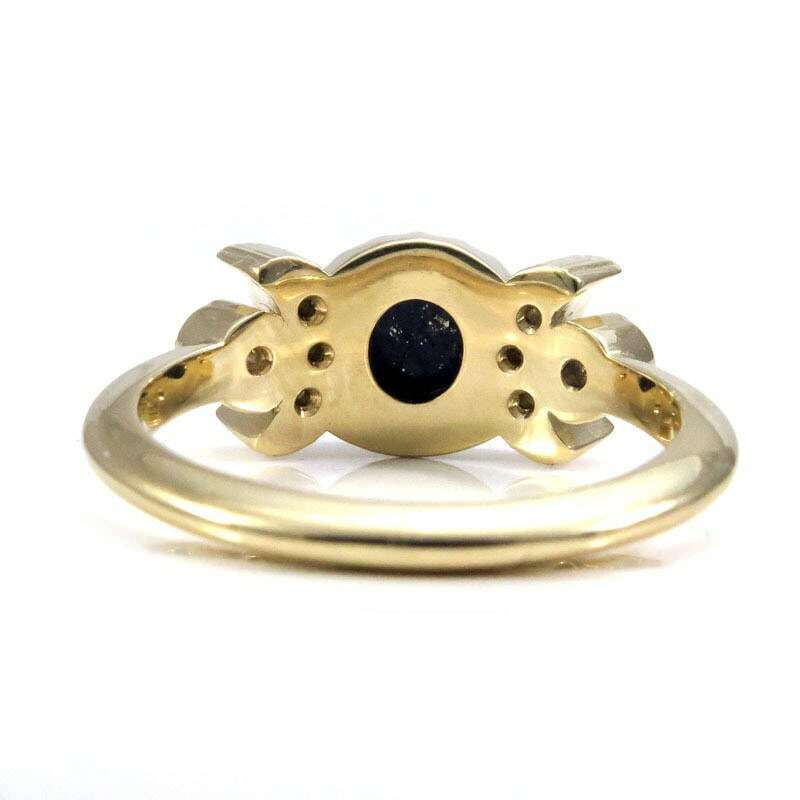 The ring is cast in solid 14k yellow gold, we do not plate any of our metals and they are all nickel free. 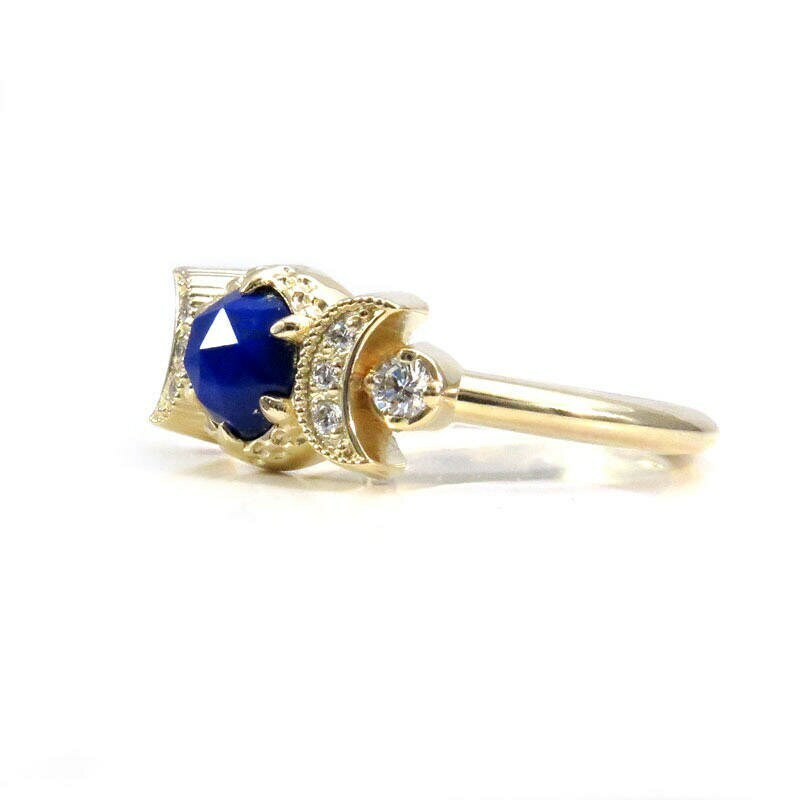 The top of the ring is about 7mm's wide and the band is 2mm's wide.